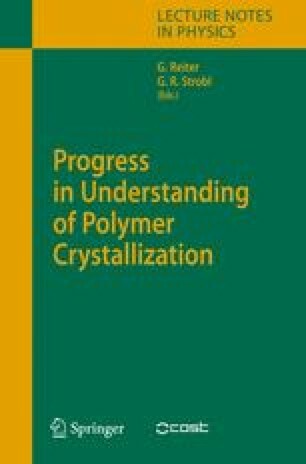 Recent results on the crystallization of block copolymers with more than one crystallizable block are reviewed. The effect that each block has on the nucleation, crystallization kinetics and location of thermal transitions of the other blocks has been considered in detail. Depending on the thermodynamic repulsion between the blocks, the initial melt morphology in weakly segregated double crystalline diblock copolymers can be sequentially transformed by the crystallization of the different blocks. The crystallization kinetics of each block can be dramatically affected by the presence of the other, and by the crystallization temperature; the magnitude of the effect is a function of thermodynamic repulsion. Also the morphology has been investigated and peculiar double crystalline spherulites with intercalated semi-crystalline lamellae of each component have been observed in weakly segregated diblock copolymers. In the case of ABC triblock copolymers with more than one crystallizable block, many interesting effects have been found; among them, self-nucleation, sequential or coincident crystallization, and fractionated crystallization can be mentioned. Additionally, the effect of the topological constrains due to the number of free ends has been studied. Factors like chemical structure, molecular weight, molecular architecture and number of crystallizable blocks provide a very large number of possibilities to tailor the morphology and properties of these interesting novel materials.